How Much Should a Kid's Drum Set Cost? The short answer: A drum set for a kid or beginning player should cost between $150 and $300. Less than that, and it's probably either just a toy or a really cheaply made instrument with poor customer service; more than that, and you're getting into the next-level drum sets, those intended for more serious, established players. Drums are of course a standard feature of every recording studio and many bands. A top-notch pro-level kit typically costs several thousand dollars, although a really good drum set can be had for about $500, not including cymbals and all the other accessories that come along with an instrument as complicated as a set of drums. One manufacturer that I have had good experiences with is Gammon. There are many manufacturers of starter drum sets, and to be honest, in my experience most of them are very similar. But Gammon has a good name, makes a solid product, and has a great star rating, with hundreds of reviews. You can find comparable sets for comparable prices, as it's a very competitive field, but in my experience, a Gammon kit is a safe, affordable bet. I have always been sure to advise the parents of my drum students to look into a starter drum set with a "package" of accessories and essential parts. Often drum sets are sold with none of these things included—meaning you'll be looking at a beautiful set of drums, with no stands, cymbals, sticks, or stool. The cost of these added items adds up quickly. 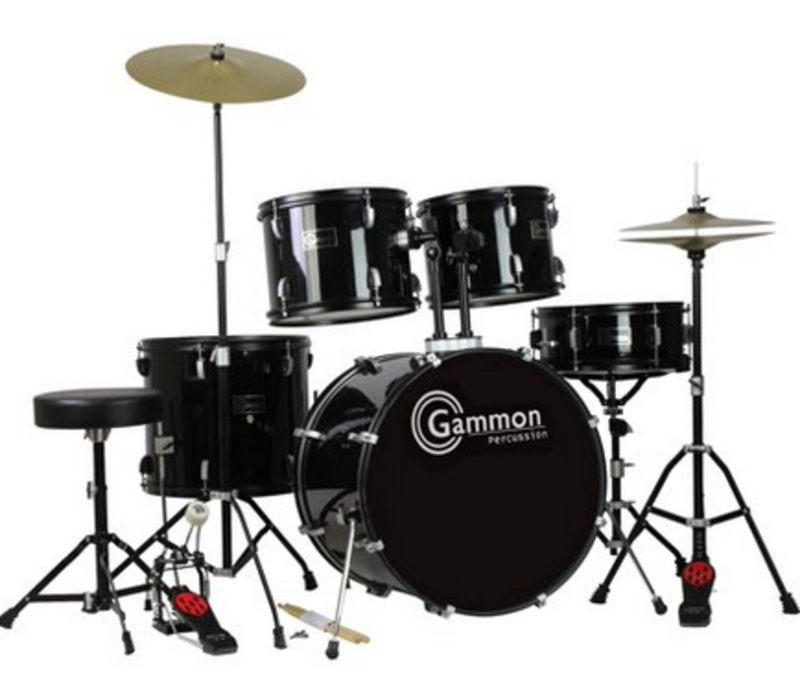 Gammon says that with this kit "there is nothing else you need to buy - this set comes complete with all drums, stands, cymbals, sticks, stool, pedals, and hardware!" Price range—how much should you expect to spend? Lessons: will you have to pay a teacher, and how much? 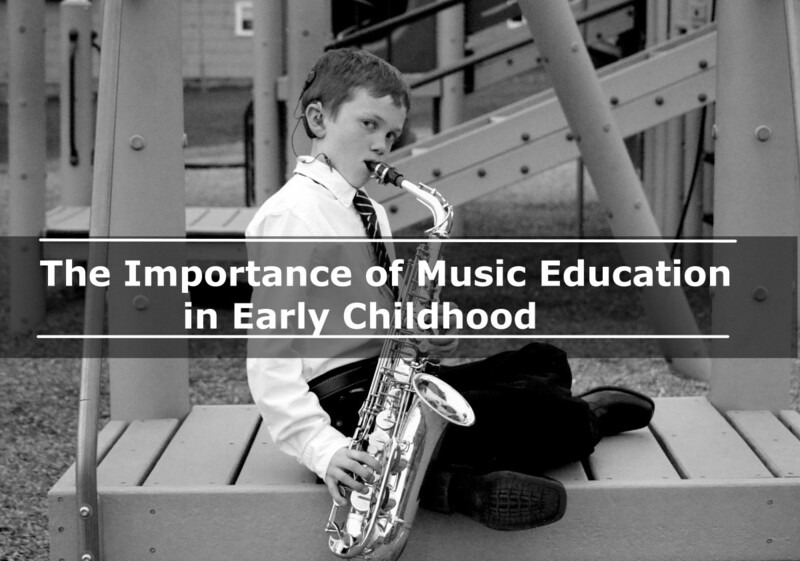 My experience with children's musical instruments and lessons goes back many decades. 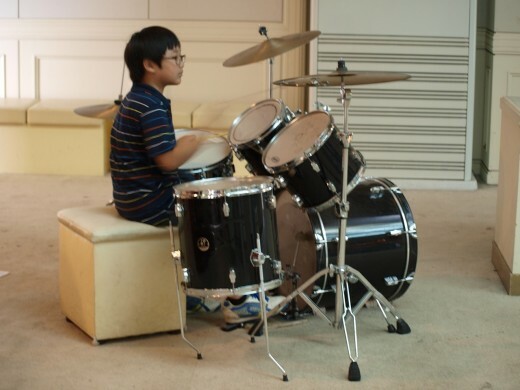 Over the years I have had plenty of first-hand experience with drum sets of all kinds and students of all ages. Money: How much do you have to spend? A good drum set for your kid doesn't have to cost a lot—there are decent options out there for under $100. This guide includes links to the better brands. Age: How old is your child? For very young children, under the age of about 8, a drum set is basically a toy—an important and meaningful toy, but a toy nonetheless. The features for a really young child are different than those for an older kid (see the options in this guide). Older children are more likely to take their instrument seriously and practice every day. For them, a more "adult" drum set is appropriate, and, in some cases, necessary. Lessons: You need to consider how your kid is going to actually learn to play the drums. Do you have someone to give your child lessons? Unlike other instruments such as music keyboards, drums do not include a "tutorial mode" that can allow self-teaching. The more serious you and your kid get about playing the drums, the more appropriate it is to consider connecting with an actual human for regular lessons. A good teacher can change a child's life! Volume: This is more of an issue with drums than any other instruments. Drums are by nature pretty loud, and as a teacher, I have seen students with potential undone by their parent's intolerance for noise in their house. 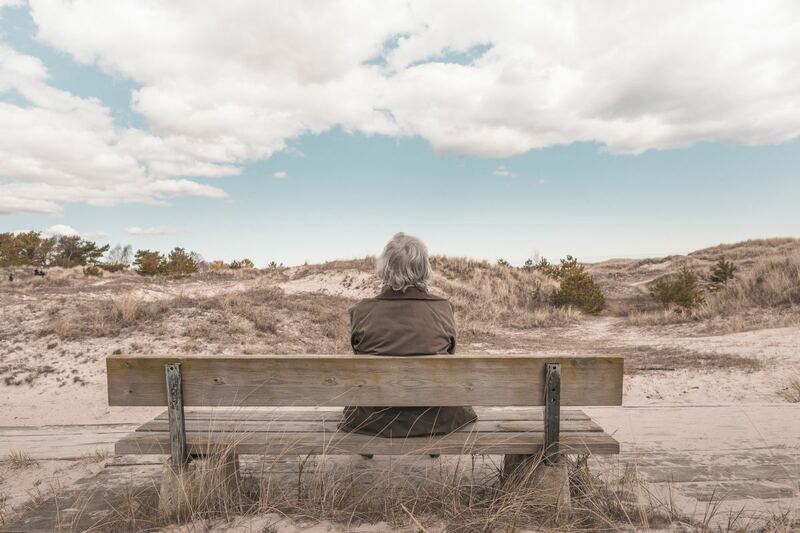 There are always workarounds, but these need to be thought about in advance. 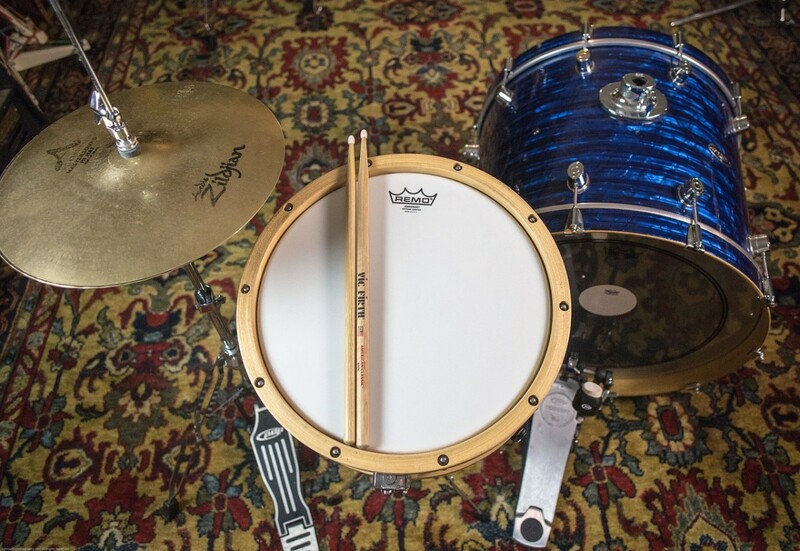 The best solutions usually involve both time and space -- a set-aside time when drumming is allowed, and a space away from the rest of the family where the volume won't be quite as much of an issue. 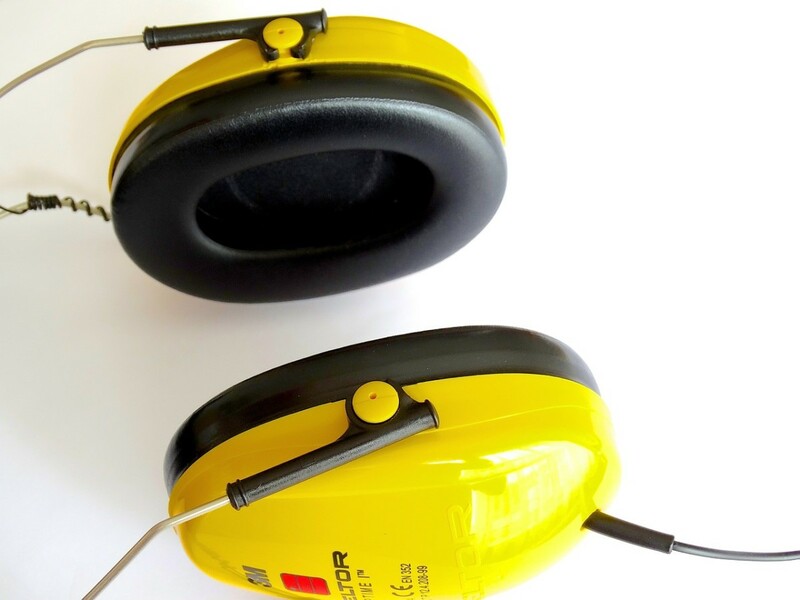 Ear protection: This is a drum-specific issue, and you will almost certainly need some kind of ear protection, not just for the drummer but for the people in the room with her. Accessories: This can be a serious headache when it comes to buying—and paying for—a drum kit for your child. You're going to eventually need everything from cymbals to a drum key (which you need if you're going to own a drum set, and which is one of the most easy-lost items of gear I have ever owned). I always advise parents to consider one of the many excellent package deals that are available. Scale: How Big Should a Child's Drum Set Be? Starter drum sets come in all sizes, form a baby-sized kit that's basically a toy, to nearly full-sized sets that would work in most rock band settings. If you have a kid younger than 12 who has not yet begun to grow, the long arms and big hands of adolescence, then you should consider a drum set that is scaled down to suit their size. In general, drum sets are measured by the diameter of the kick drum; if you find a good kit with a kick drum that's 16 inches in diameter, then it's going to be about right for a child under 10 years of age. Larger kick drum sizes are associated with larger kits. While there is no exact rule for picking the right size kit, using this general rule of thumb will prevent you from getting a kit that's way too big for your child. If you're looking for a kit for a very young child, then you still have some great options. However many of these will look like toys, and may not hold up for long under determined practicing from your 5-year-old. One kit that may make sense for a very young child is this Junior Drum Kit, which has a 12-inch kick drum and is very small. However, it is not a toy. My own kids had a kit like this, and they played it all the time. It's durable and feels and looks just like a "grown-up" drum set. Ear protection is a major issue with some instruments, especially drums. For these instruments, headphones are highly recommended, even necessary, for ear protection. I have had drum students as young as 8 years old who could REALLY hit the drums and definitely needed ear protection. While you're shopping for a kid's drum set, don't forget to pick up an affordable set of headphones. I have made this extremely clear to the parents of my drum students, and during lessons, we BOTH wear headphones to protect our hearing (mine has been through a lot more than theirs, but you're never too young to start!). In all cases, when your child is playing an instrument, keep an eye—or, I guess, an ear—on the volume level. Having them wear headphones will protect them from the high-decibel sounds of a drum kit. These are the ear-protection headphones that have worked for me -- I used them for my own kids. They got into the habit of wearing them whenever they drummed. The rule was "get on the throne, put on the 'phones." I much prefer headphones to earplugs for a child's hearing protection. Earplugs wind up littering the ground, most of them used (yuck). Kids also hate wearing them, whereas they kind of get a kick out of wearing headphones. Lessons: Will Your Kid Need Them? As a person who has taught drums, I have a confession to make—you really don't need lessons for your young drummer. Up to a certain age, say 10, kids who are motivated to learn the drums will figure it out. 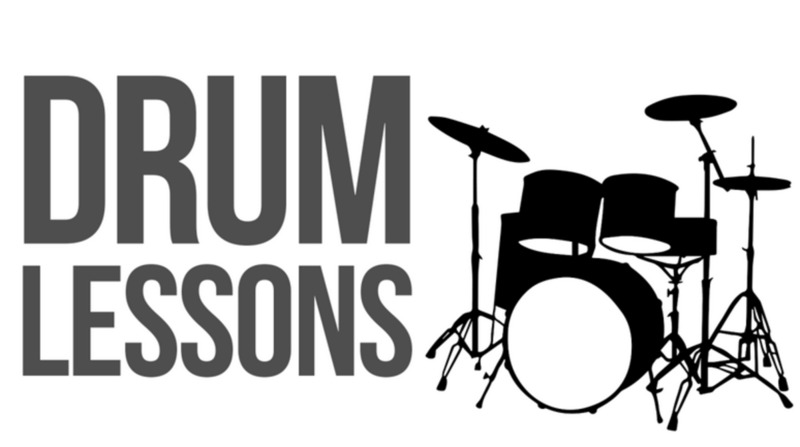 It's a matter of coordination and practice, and if you aren't coordinated and don't practice, no amount of money spent on drum lessons will turn you into a player. There are excellent free tutorials on Youtube that will give a determined student the basic moves and techniques to be a competent drummer—it's most definitely not rocket science. 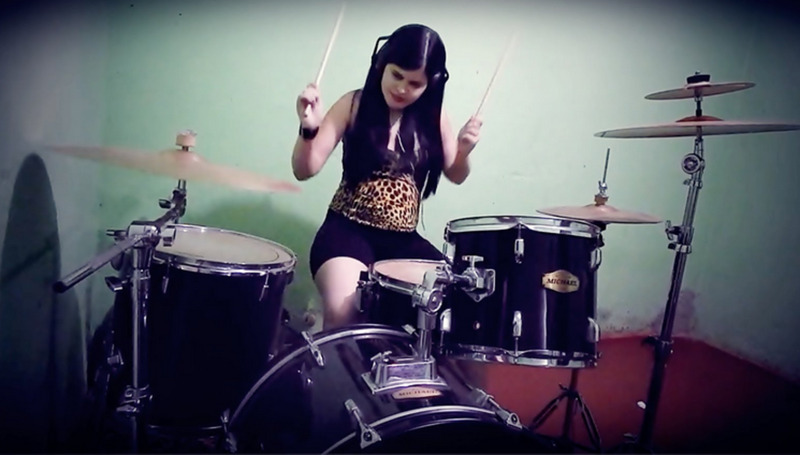 Again, the key to becoming good on the drums, or any instrument, is a basic level of coordination and a dedication to getting better. Practice might not make perfect, but not practicing makes noise and little more. If you do decide to get lessons for your child, your solution will depend on several factors, many of them specific to your family or your children. 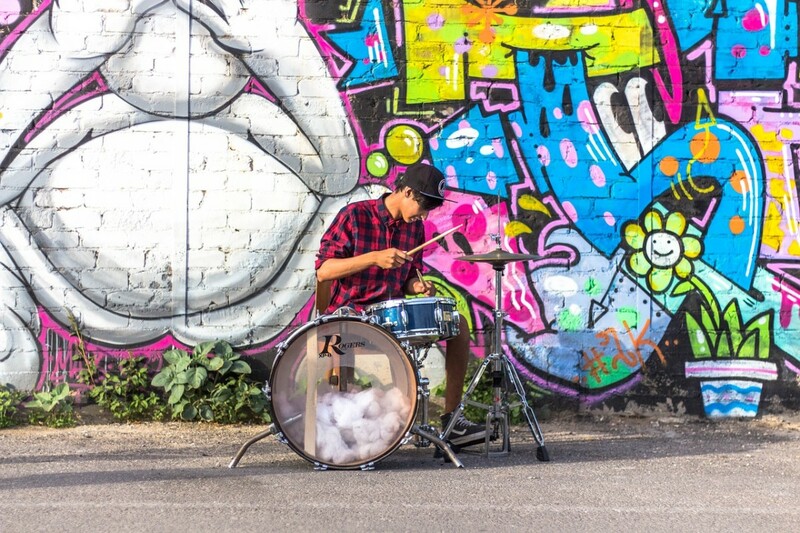 In general, a good drum teacher will cost about $50 an hour; if you have two kids in one family taking lessons, you may be able to arrange a package deal. I used to charge $60 an hour for music lessons, and never had a shortage of students, but I was a bit more experienced than other teachers in terms of rock and roll and recording experience. 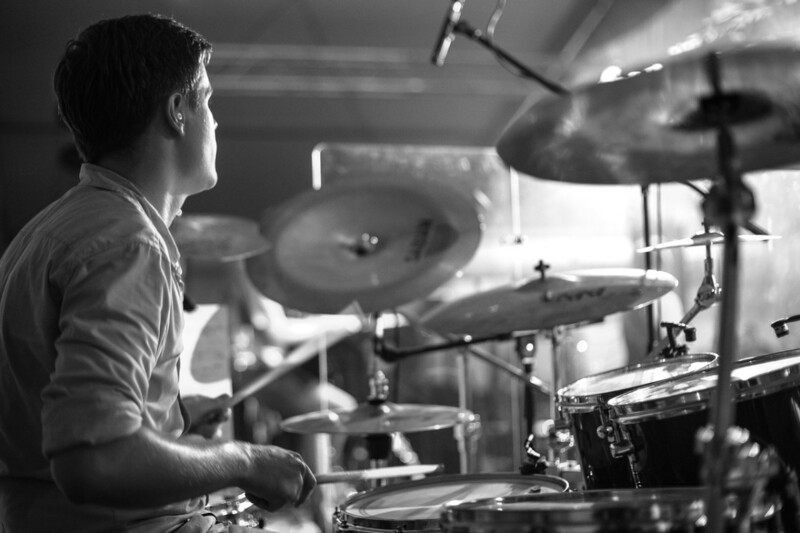 Check Out This Guide to Buying a Kid's Drum Set Before You Make Your Decision! Choosing a Child's Drum Set -- Electronic drums are nearly silent, which means you won't have to deal with a really noisy house. I have seen the noise issue derail a child's drum lessons. 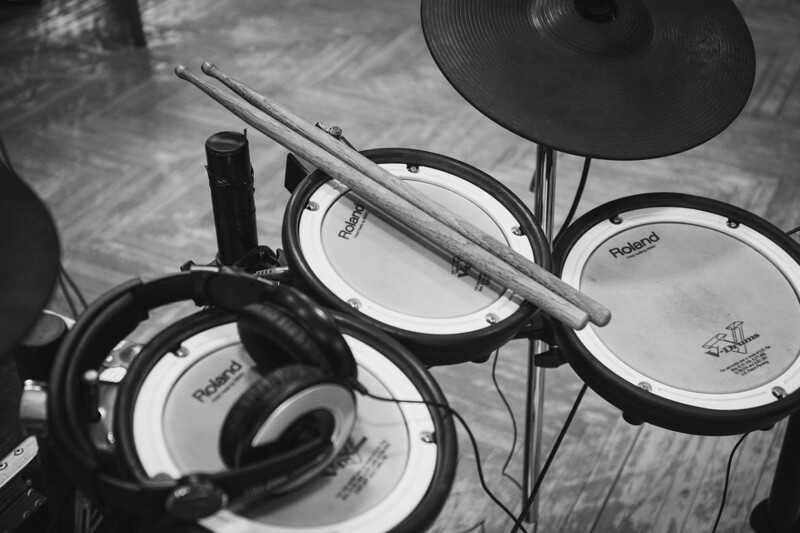 Here's what you need to know about a child's electronic drum set. When I started teaching, I used to discourage parents from buying packages—instruments with included accessories and tools—because I thought it just jacked up the price for cheap products. Nowadays, I have come around a full 180. Especially when you're talking about starter drum kits, it makes all kinds of sense to score a package deal. This will save you a good amount of time, money, and hassle. Inevitably, you'll need something you didn't expect—for example, what is your kid going to sit on while they play the drums? Getting a good deal on a package that includes stands, cymbals, pedals, sticks, a drum key, and even headphones is a smart move.